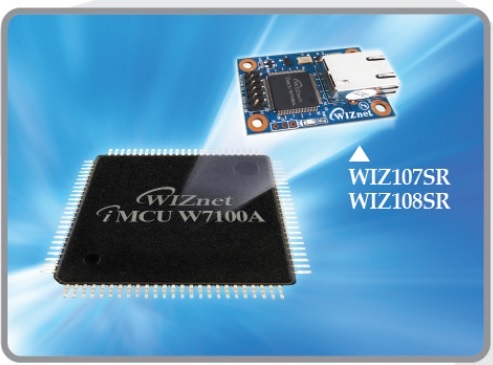 W7100-S2E | WIZnet Co., Ltd.
W7100S2E is a highly integrated SoC in which ‘Serial to Ethernet’ application firmware is programmed. It comes with licensed networking firmware of WIZ107SR or WIZ108SR module, which is already deployed in millions of network devices. 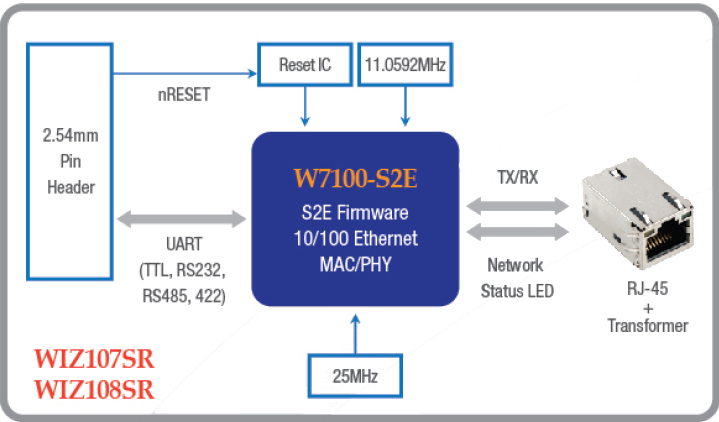 The latest version of WIZ108SR firmware can be programmed in W7100-S2E chip.